Should a fan or blower fail without warning, the results can be disastrous. In computer and telecommunications equipment, failure of an air mover may cause operational failure or even permanent damage. In ventilation applications, temperatures or contaminants may build to dangerous levels, equipment may fail or livestock may perish. 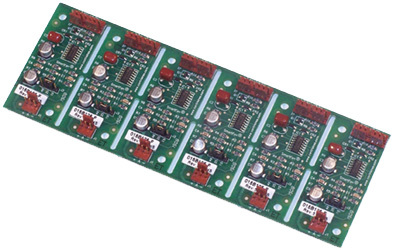 For over 3 decades, Control Resources has been the leading manufacturer of fan monitoring and fan failure alarm products to the electronics, telecommunications and HVAC industries. 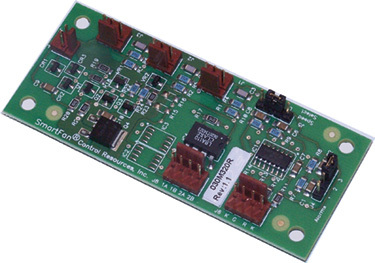 These fan monitoring and fan failure alarm technologies are also available on many standard SmartFan control products and can be provided in any custom design. A fan or motor with a “3rd wire” that senses pulses generated by a Hall Effect device installed in the fan is required for the TachScan or TachStrip line of fan alarms. The SmartFan unit will use this signal to monitor fan speed and trigger an alarm (LED, Logic, Audible) if the fan or motor falls below a speed preset by the customer. This method is very reliable and because the Hall Effect device is part of any brushless DC fan, it adds little or no cost. The Tachscan or Tachstrip can also be used to monitor AC fans or motors, but finding an AC motor with a Hall Effect / tach monitoring output is more expensive and less common. 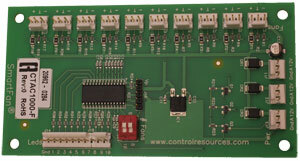 Control Resources can also often sense fan or motor failure by monitoring current. However, this approach is highly motor dependent and requires a custom design for most applications. Contact CRI customer service if you are interested in this approach. Control Resources specializes in customizing existing designs as well as providing all new custom controls to meet your specification. For more information visit our Custom SmartFan Controls and Alarms page or talk to one of our engineers.